Fill ingredients in a 1 oz. spray bottle. Shake & Spray on desired area as needed! 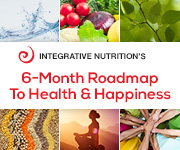 * Combine all ingredients in an 8-ounce glass spray bottle and shake vigorously. Shake well before each use and spray to affected area(s) as often as desired. Avoid the eyes! FYI….Do not use any citrus oils topically then go out in the sun (use under clothing or at night before bed)! They can cause harm! Some essential oils are photosensitive meaning they react to radiant energy or light such as natural sunlight, sunlamps, or other sources of UV rays. According to the Mayo Clinic, symptoms of photosensitivity may include a pink or red skin rash with blotchy blisters, scaly patches, or raised spots on areas directly exposed to the sun. Itching and burning may occur and the rash may last for several days. Dark pigmentation on the skin may occur as well. “A phototoxic reaction typically shows up as an exaggerated sunburn, usually occurring within 24 hours of sun exposure” as stated by the Skin Cancer Foundation. The primary essential oil culprits are typically citrus oils: Angelica, Bergamot, Grapefruit, Lemon, Lime, Orange, Wild Orange, and Tangerine. Bergamot essential oil contains bergaptene, a dominant photosensitizer, that can cause severe reactions. Look for products that contain bergamot essential oil that is bergaptene-free. Caution is required when using skincare products that contain these photosensitizing oils. As stated by Everything Essential Oil, “when using photosensitizing oil, wait a minimum of six hours before exposing skin to UV rays. The stronger and more lengthy the UV ray, the longer the wait should be.” For maximum protection, shield skin with sunscreen and protective clothing. One of the Rules to follow for topical essential oil use…is the 4/10/75 Rule! 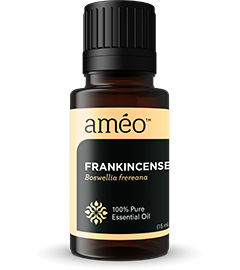 * Research suggests that when essential oils are applied neat (without carrier oil) about 4% of the lessential oils are absorbed through the skin and into the bloodstream. * If a carrier oils is used (a 2% dilution), the absorption increased to 10%. * If the area of application is covered (with a warm towel or other covering) absorption dramatically increased to 75%! WOW! The other day I got a slight sunburn on my back and shoulders, Yes..I let it happen! Happens to the best of us! Walking all over Malibu, such an awesome day, I didn’t think about it until I COULD FEEL IT! The top of my husband’s feet were bright red too! I had made a bottle of “Cut, Scrape and Rash Relief”, and decided to give it a try! It worked wonderfully! So I’d like to share the recipe with you! In a 2 oz. 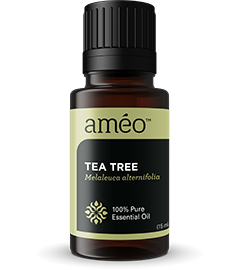 mister bottle… combine 5 drops of Améo Tea Tree oil (which happens to be 10% off until August 21st), 5 drops of Améo True Lavender oil, and 2 drops of Améo Frankincense oil. 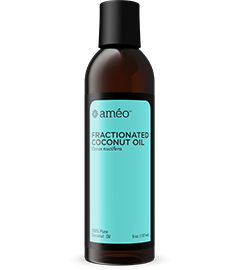 Fill the rest of the bottle with Améo Fractionated Coconut Oil and shake will. Spray directly onto minor cuts, scrapes, rashes, and itchy spots (and now I know sunburns too!) several times daily to help relieve them and speed recovery. Shake before each use! 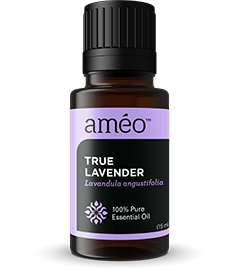 For Améo Essential Oils contact me here! Why Améo? ?…click here! !